A wreath made from Yukon's history is being presented at a ceremony at the Canadian National Vimy Memorial to mark the 100th anniversary of armistice. The wreath is made from old rope from the S.S. Klondike sternwheeler in Whitehorse. 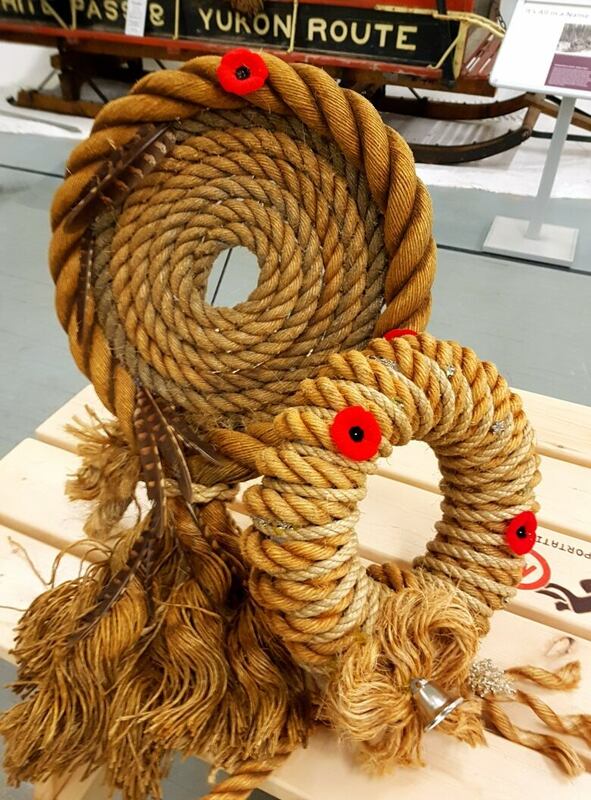 A wreath made from pieces of Yukon history is being presented at a ceremony at the Canadian National Vimy Memorial in France to mark the 100th anniversary of armistice. 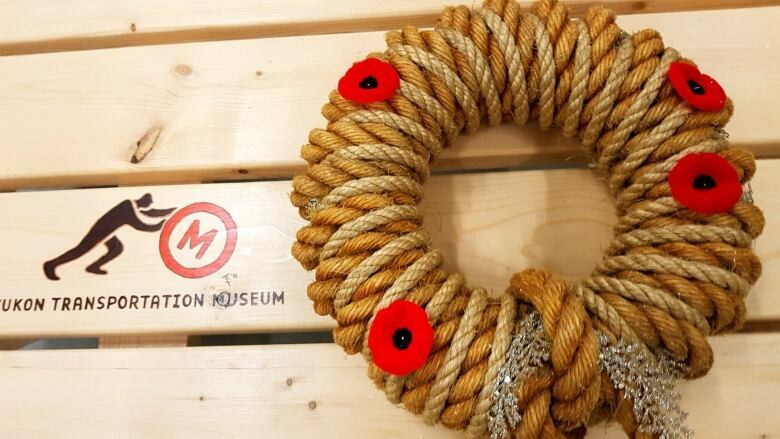 The wreath is made from old rope from the S.S. Klondike sternwheeler in Whitehorse, a National Historic Site. The Yukon Transportation Museum spearheaded the project. In addition to the wreath for Vimy, two others were made for the Sunday Remembrance Day ceremonies in Whitehorse and Dawson City. The museum's executive director says the "beautiful old hemp ropes" are 20 or 30 years old and not considered historic. 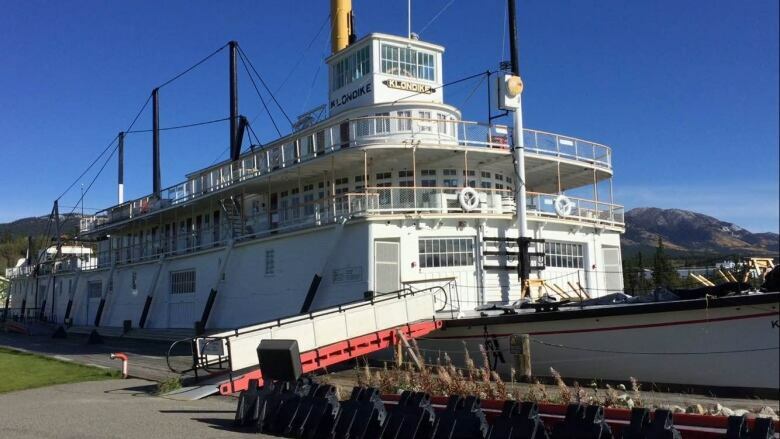 Janna Swales says they were replaced as part of the boat's routine maintenance. She says the ropes sat around the museum for a couple of years before someone suggested turning them into wreaths. Two different styles were made in workshops hosted by the museum. She says she thinks the rope offers a strong connection to Yukon's history. "It's quite an unusual material that has a powerful significance for us, for past life on the river ... the Yukon River was the main street." Swales says the idea of sending a wreath to Vimy came from Alex Somerville, executive director of the Dawson City Museum, who spent a summer at the memorial site. "It's the perfect idea," explained Swales. "It's 100 years since armistice, since the end of the First World War ... It is a really powerful contribution from this corner of the country." Yukon made a large contribution to the war effort. Historian Michael Gates says more than one-fifth of Yukoners signed up to fight in the First World War. Speaking to CBC last month about a book he co-wrote about Yukon soldiers who died in the war, Gates said Yukon had the largest per capita enrolment in the war of any jurisdiction in Canada. The Yukon Fallen of World War 1 highlights the careers and honours of each of the people who died.